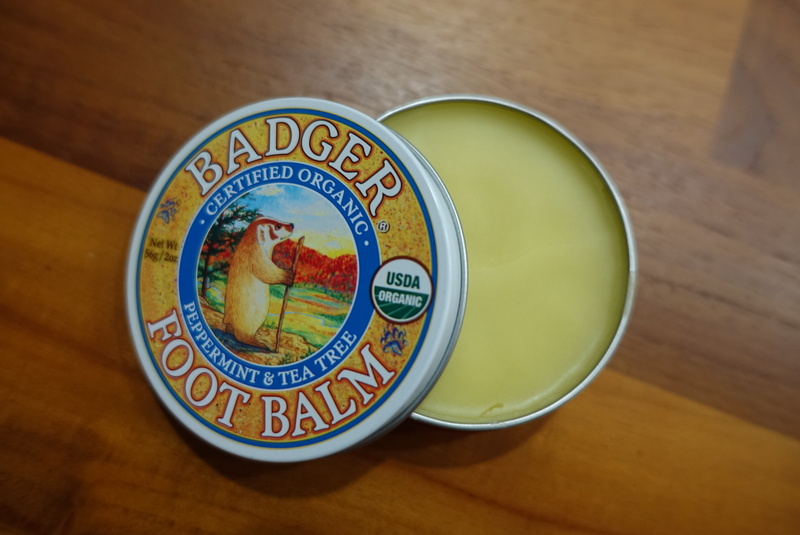 If you are an organic-addict, then I’m sure you have Badger products from the US of A in your stash. If you are an organic-addict and don’t know about Badger, you are in for a treat. These balms come in handy tins and smell fantastic. They are a concoction of essential oils that melt upon the touch of warm finger tips. Then just rub the oils into the desired areas. 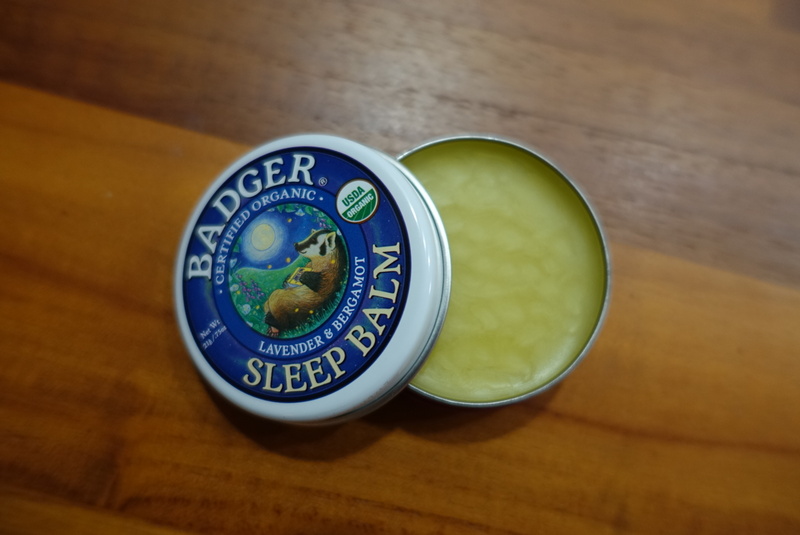 The sleep balm helps you well, sleep…it has extra virgin olive oil, castor oil, beeswax, bergamot, lavender rosemary, ginger and balsam fir. When you are feeling panicky, or can’t sleep in a hotel room, just rub it on the temples, nostrils and chest. 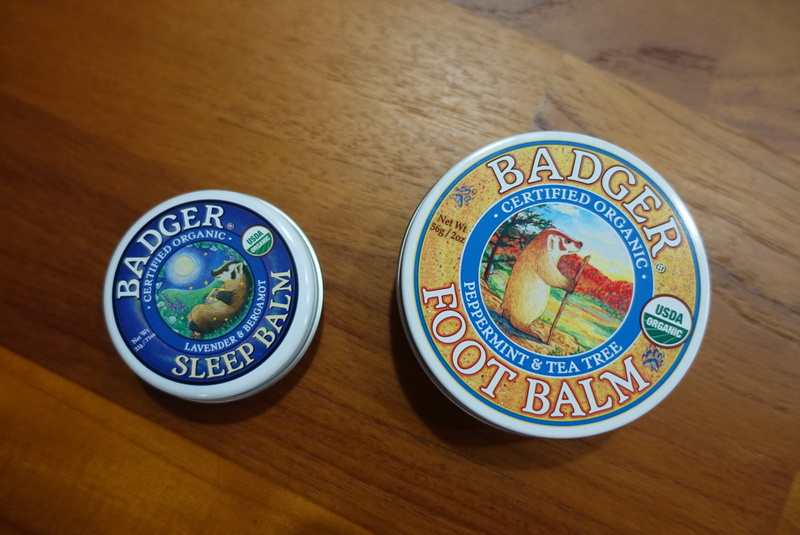 The foot balm? For achey feet after a day in heela. Contains extra virgin olive oil, castor oil, beeswax, jojoba oil, essential oila of rosemary, peppermint, cardamom, tea tree, eucalyptus and balsam fir. I’ve long heard about these balms and finally got my first sniff of these at a local pharmacy. And bought them immediately. I like to keep these by my bed for a pampering night-time rubdown. I think these balms make good cuticle oils too.